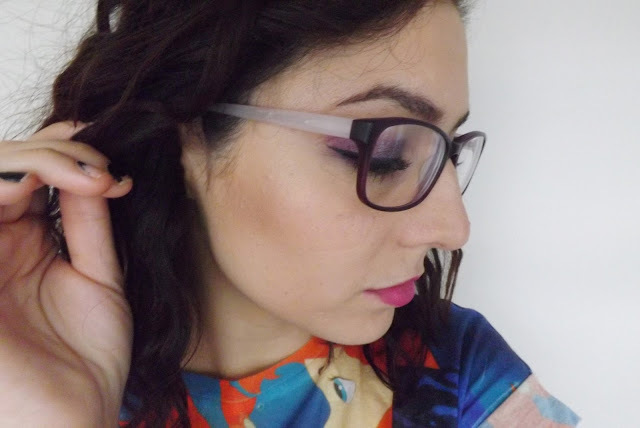 Glasses are a new thing in my life after finding out how short sighted I am, and these Converse glasses in style code 15 are the second pair that I bought in Specsaver's infamous two for one offer. I absolutely love these simple but gorgeous deep purple and pink specs because they are perfect for versatility and more everyday looks. 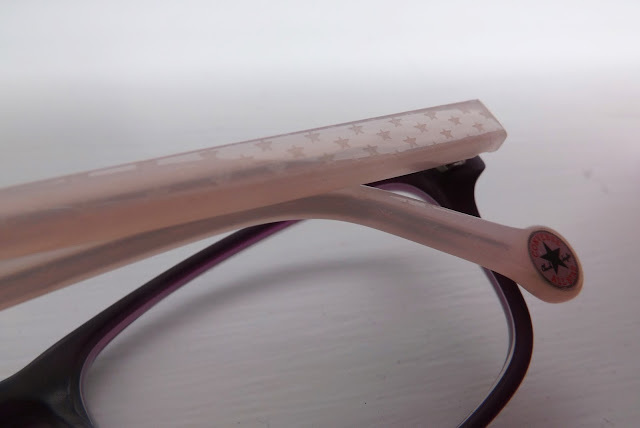 These Converse glasses have the loveliest pink star printed sides contrasting with the deep purple frame. It was the contrasting colours that led to me to buy these as my second pair as I love colour and didn't want anything too plain or too lairy. I wanted something that was going to be easier to wear everyday. Their versatility got me too, especially as it gets colder and I find myself wearing darker purple/red make up on a daily basis. That make up would clash awfully with my teal FCUK pair. 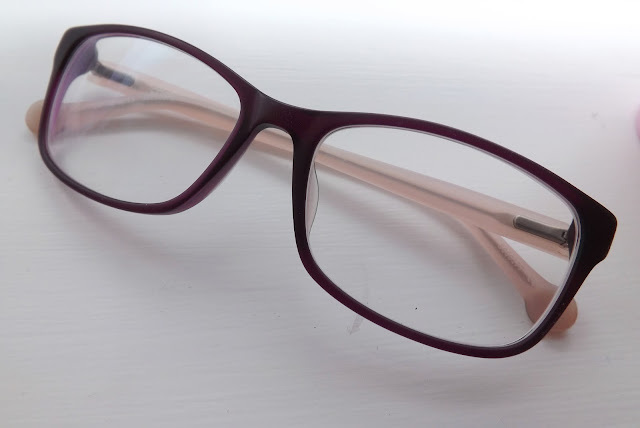 My Converse pair are a more squarish frame than I had before which I love because my last two pairs were very rectangular and I feel these suit my face better. 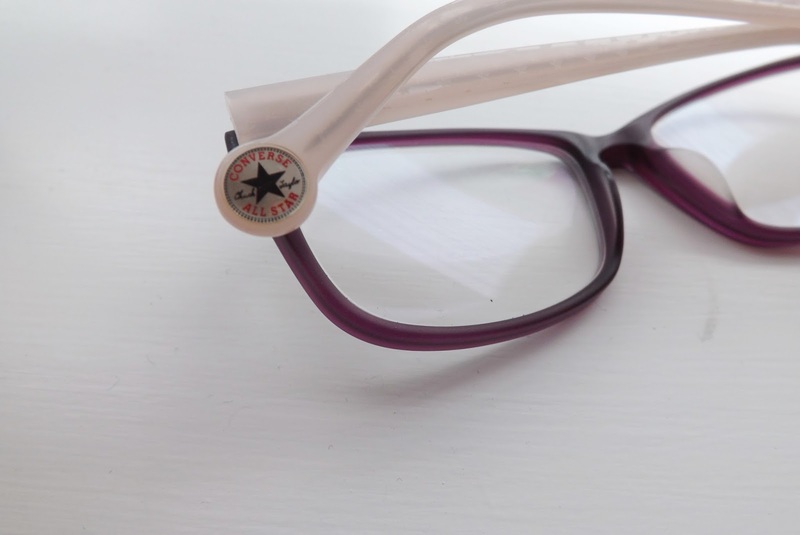 I love Converse as a brand too, so when I saw they did glasses, I had to get a pair. They have the converse logo right at the back of the arms so you won't tell what brand they're from straight away which I kinda like because you're more focused on the design than the brand that way. And when people have found out they're Converse they're surprised in a good way, which is nice! Though they might be my more simple pair of the two I bought, they're definitely the most wearable. I mentioned in the post about my FCUK ones that I wear them more often than these, but recently I've been finding myself in these more often due to darker make up looks recently and their simple wear-ability. The FCUK ones have started to be my go to for style and to create more of a statement whilst these have become my everyday pair. 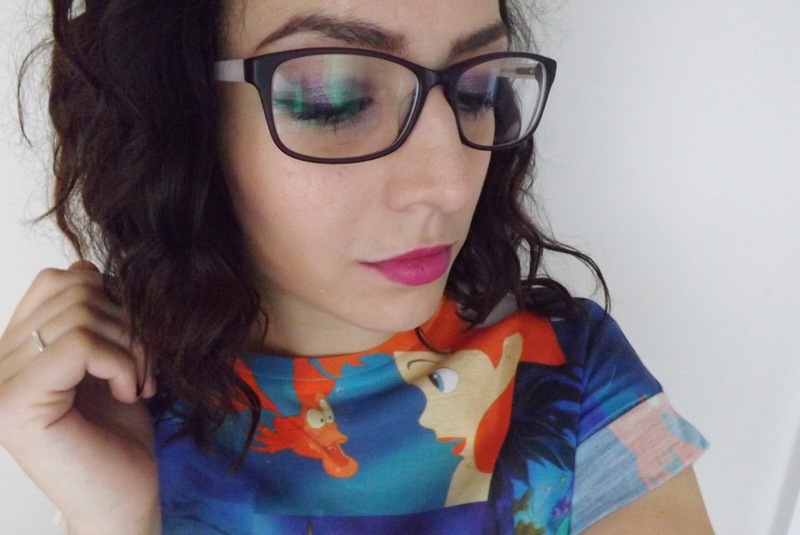 I know people have mixed opinions about glasses, but I can't help that I'm a fan. I'm not bothered about wearing frames, and I'm actually thinking about buying a couple more pairs since my prescription won't change for a couple of years. They're also for everyday wear, so why not!? They're so cute with the stars on the arms! I had no idea Converse did glasses!